Last Wednesday, just two years and a day after the deadly terrorist attack on the Jewish Museum in Brussels, and barely more than two months after the twin attacks on the Brussels airport and metro, Belgian police arrested a group of Muslim youth planning yet another attack, this time in Antwerp. Aiming "to kill as many kufar," or non-Muslims, as possible, the group is believed to have been planning to bomb Antwerp's Central Station. 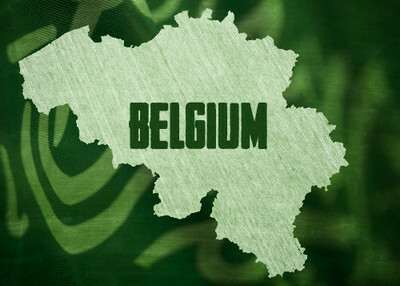 The group also is believed to have made previous plans to assassinate right-wing politician Filip Dewinter, the leader of the Vlaams Belang party. Those plans were put on hold, however, in favor of a larger-scale attack. The suspects were members of a group of radicalized Muslim teens believed to have kept contact with Antwerp native Hicham Chaib, who is now a high-ranking leader of the Islamic State. It was Chaib who informed the public that the March 22 attacks on Belgium's Zaventem airport and Maelbeek metro station "were just a taste of what's to come." And it is Chaib, the former second-in-command of Shariah4Belgium who left Antwerp for Syria in 2012, who now actively recruits other Antwerp-based youth to join ISIS or to execute terrorist attacks in their homeland. With security and counter-terror investigations heightened in Brussels after the March 22 attacks there, it is unsurprising that jihadists might be moving their activities and focus to nearby Antwerp. The city has a long history of Muslim unrest, with riots as early as 2002 and the founding, by Hizballah-linked Lebanese immigrant Dyab Abou Jahjah, of the Arab European League (AEL) in 2000. An organization with pan-Arab aspirations, the AEL aimed to create what Jahjah called a "sharocracy" – a kind of combination of democracy and sharia – that would eventually become European law. But the indication of heightened new activity in Antwerp also suggests possible changes in strategy for Europe-based jihadists and recruiters. While French-speaking Brussels maintains close ties to France (several of the terrorists involved in the two attacks in Paris last year were based or were born in Brussels), Flemish-speaking Antwerp holds a stronger relationship to The Nethrlands. Antwerp is also a mere 30 minutes from Rotterdam by high-speed train, offering easy access to Europe's largest and busiest port. The Rotterdam Port is also the launching point for the vast majority of European exports to America, Europe's largest external trading partner. This matters. According to the National Institute of Justice, "Few would dispute that, if terrorists used a cargo container to conceal a weapon of mass destruction and detonated it on arrival at a U.S. port, the impact on global trade and the world economy could be immediate and devastating." And the New York Times further observed, "The cargo containers arriving on ships from foreign ports offer terrorists a Trojan horse for a devastating attack on the United States. As the Harvard political scientist Graham T. Allison has put it, a nuclear attack is 'far more likely to arrive in a cargo container than on the tip of a missile.'" The good news, however, is that The Netherlands' intelligence and counter-terrorism agencies are well-recognized for their research, acuity, and effectiveness. And Rotterdam takes an especially hard line on Islamic extremism: its Essalam Mosque, Holland's largest, served as the site for anti-extremist protests. Last year, the mosque dismissed all foreign Arabs from its board of directors. And following the January 2015 attacks in Paris, Ahmed Aboutaleb, Rotterdam's Muslim mayor, famously invited any Dutch Muslim wishing to join the jihad in Syria to make the trip and never try to return. More, his fierce response to youth who dislike Dutch values was even more direct: he told them to "f*** off." Perhaps, then, even as these latest arrests demonstrate just how much Europe's radical Muslim problem threatens to become America's radical Muslim problem, we should consider making some of Europe's more radical solutions America's solutions, too. Reuters news report from 4/18/2004 (excerpt) "It's inevitable. Because several (attacks) are being prepared by several groups," Sheikh Omar Bakri Muhammad told Lisbon's Publica magazine from London where he is based. He added: "We don't make a distinction between civilians and non-civilians, innocents and non-innocents. Only between Muslims and unbelievers! And the life of an unbeliever has no value. It has no sanctity!." They are all cowards of the worst kind. Please note that Flemish is NOT a language in Belgium. While the people may be Flemish, they speak DUTCH. This is akin to Americans, as we speak English and not American. The error is often made in the media. Time magazine made the error in the past but once informed of the correct usage , now properly uses Dutch as the language of the Flemish people.